Mousa Kamar, front right, and his son, Youssef, far left corner, carried the large wooden cross during the Good Friday procession on the Via Dolorosa in Jerusalem’s Old City March 25, 2016. Mousa Kamar and his sons are carrying on the tradition of his grandfather and father in carrying the cross on Good Friday. JERUSALEM — For four decades, Mousa Kamar has taken his place at the head of the heavy wooden cross used during the Franciscan Good Friday procession on the Via Dolorosa. Youssef Kamar, front right, carried the large wooden cross during the Good Friday procession on the Via Dolorosa in Jerusalem’s Old City. 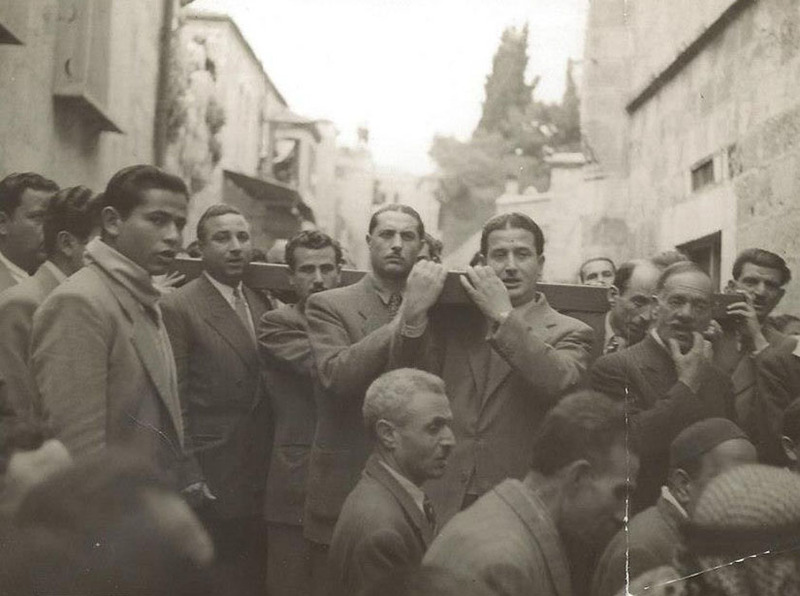 Carrying the cross on the Via Dolorosa is a decades old family tradition for the Kamar family. Ten years later, Mousa Kamar started carrying the cross.